In our group we all took an opportunity to edit some of the film clips. We adjusted the brightness, contrast, colour, blacks, whites, saturation, mids and more. 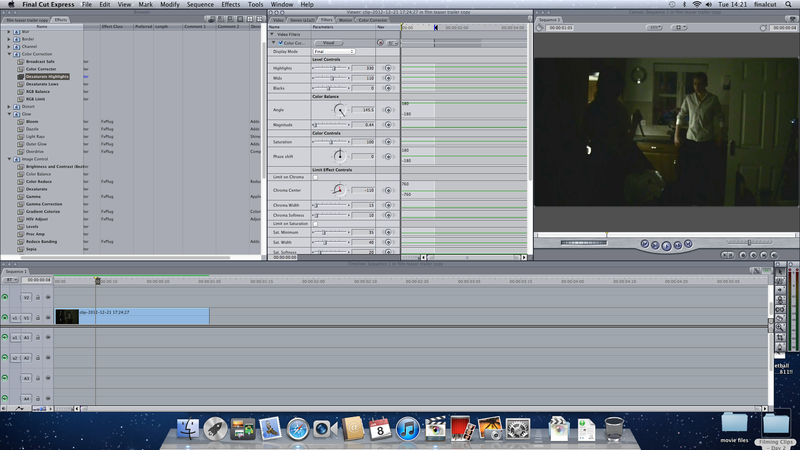 We did this to make our film clips look like a noir style film and look fairly similar to each other. We added filters and video transitions to make it run smoother and give it a professional look. This entry was posted on Tuesday, January 29th, 2013 at 11:22 am	and posted in Uncategorized. You can follow any responses to this entry through the RSS 2.0 feed.